In the market for new SEO tools? Thinking about Bruce Clay Inc.’s SEOToolSet? We recommend trying our free samples. Just for you, we’ve selected ten powerful tools from this renowned set and made them available to you, free of charge. These ten FREE SEO tools featured on SEOToolSet.com can be used right now to improve your SEO campaign without logging in or providing your credit card information. Useful? Yes! What you’ll learn: The free SEO Cloaking Checker shows you if you’re cloaking, or featuring two different versions of the same URL – one for search engine robots and the other for human visitors. Why this matters: Cloaking goes against Google’s Webmaster Guidelines and is considered a “deceptive” SEO technique. If you discover cloaking on your site while using this tool, you can dig deeper to fix the root issue(s), improve the health of your server, and improve your search engine rankings. You can resolve to be transparent. 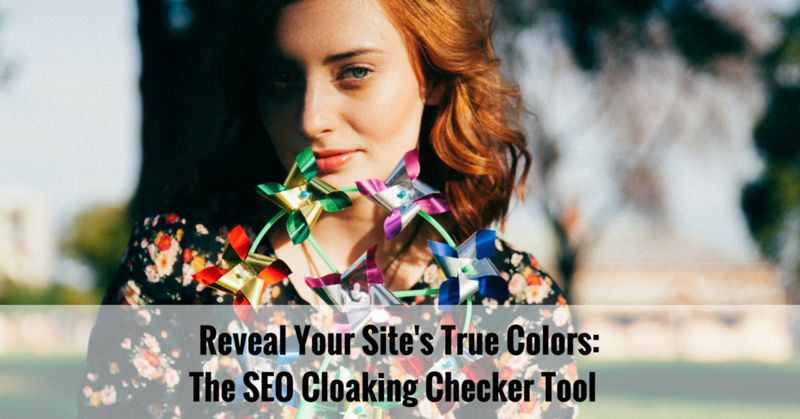 This is the SEO Cloaking Checker; submit a URL to use the tool. Submit a URL into the SEO Cloaking Checker and press Check for Cloaking. This free SEO tool shows you the SEOToolSet Page Cloaking Report, a straight-forward chart that features major search engines Google, Bing, Yahoo, as well as web browsers Mozilla Firefox, Internet Explorer, Google Chrome, and Opera. Use the chart to see if the page you have submitted is cloaking according to each listed search engine and web browser. A green check mark means there was no cloaking found; a red X means cloaking has been detected. See if major search engines and browsers detect cloaking on your web page. If you’ve run the complimentary SEO Cloaking Checker and received a report with one or more red “Xs,” the tool has discovered possible cloaking. Now what? While a positive cloaking report is not necessarily a good thing, knowing there is cloaking on your site gives you a starting point from where you can hunt down the issue and fix the problem. But before we dive into what comes after a Positive Cloaking Report, let’s take a break to learn how the tool works and what sets it apart from other cloak checkers. How it Works The typical cloak checker on the market today examines the amount of content on a page and compares it across browsers. The problem with this type of method, however, is that differences such as a small tweak in the content or an A/B Test can come back as cloaking, or a false positive. In other words, it’s too sensitive of a method and can’t be relied upon. Bruce Clay Inc.’s SEO Cloaking Checker bypasses this problem by analyzing the page differently. This free SEO tool examines sections of a page and compares the content across the browsers. The result is a smarter tool that can gather contextual information about a page and provide a more accurate cloaking report. Investigate the source of cloaking. A simple cloak checker will not tell you what the issue is, only that cloaking has been found. See a positive cloaking report as a red light, signaling you to stop and explore the possible cloaking issues that might be negatively affecting your rankings. There are many different types of cloaking, some done on purpose to manipulate rankings, some that are not deceptive by nature but still show up as cloaking, some are pure accidents, and a host of practices fall in the grey area. While checking your site for the source of cloaking you might even find that it was placed by a hacker. Since not all cloaking is considered deceptive, it’s up to you to decide whether what the tool has found is something you want to fix or keep. Of course, this is when an experienced SEO comes in handy. With enough experience and wisdom, a manual check should lead to the discovery of a cloaking technique that’s affecting your site. Fix cloaking issues found on your site. Once you’ve discovered the type of cloaking that is affecting your site, go to work to resolve the problem. The opportunity to take care of any cloaking issues ensures that you’re showing search engines exactly what you’re showing your users, and this type of transparency is rewarded by the search engines. Improve rankings.There’s a reason for a sudden drop in rankings or that manual spam report you received. Learning that a search engine has found cloaking on your site means that you’ve found one possible reason it is not performing as well as it could be in the SERPs. Cloaking can result in the outright exclusion of your site from Google’s index, and when you fix the issue, there’s a great chance you will improve your rankings and make it easier for your customers to find you online. Discover that your site has no cloaking issues. You’ve submitted a URL into the SEO Cloaking Checker tool and received green check marks across the chart. Congratulations, the page you’ve entered has no cloaking issues. Interpret this data as a green light to move on to other monthly maintenance checks and server health procedures. The Free SEO Cloaking Checker is fast and easy way for you to find out if your site has cloaking issues. Making sure your site is free of cloaking ensures that it’s not running afoul of Google’s quality guidelines. During a regular maintenance check. Use the SEO Cloaking Checker on a monthly basis to ensure the overall health of your server. After a major change to a site. Whether it is a big server change or a back-end change to how the pages are rendered, run the cloaking check tool to make sure the page is working as it should. Bruce Clay, Inc. offers 10 Free SEO tools you can use right now without logging in. You don’t have to register or provide your credit card information. Although free, these tools are strong enough to improve your search engine optimization strategy today, starting with a quick check to find out whether your site is cloaking according to the search engines. 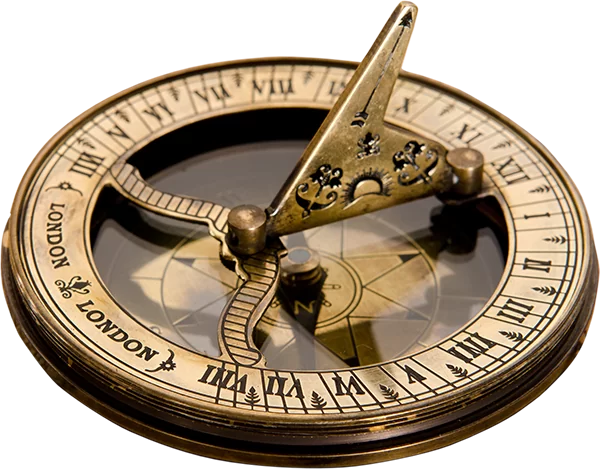 If you enjoyed learning and using this tool, explore the rest! Our Free SEO Tools series introduces you to each tool, shows you how to use them, and how to make sense of the information. Read the Free SEO Tools series here! Really nice article Melanie. Good explanation! Do you think that SEO tools will change in future, to become more complete and provide more options? SEO tools make our jobs a lot easier. Ain’t that the truth, Mark! Thanks! Hi!! Thank you for sharing this information, I want to improve my company’s website and all the content on it, the company explains how to make moccasins and wants to show how moccasins are wore in daily bases, anyway I want to make it more interactive, I was thinking to start from zero, create everything again and do it in an easier and more creative way. I did something similar in the past but didn’t worked as I expected, I read the all your article about it and you actually have quiet good points on it, it actually sounds like exactly what I’m looking for, so I think I’m going to follow your advises thou, I just have to clear my head with a couple of more things about what I need to improve so I can take start to make the cuts and have a final decision so thank you for sharing this advises! Loved the tool and checked my site. Great tips. Love the Cloaking detection tool – thanks for sharing! Yes, it’s important to get rid of cloaking. And you have shared some important points for the same. this is something i have been looking for . Great timing! Thank you for this tool im searching on google for this. Its really helpful. Thanks for sharing this post about cloaking. I want to ask you, Cloaking and a/b testing are the same thing?? Thank you for your question. Cloaking is different than A/B Testing. I asked our Manager of Software Development Aaron Landerkin to explain: “Manipulative cloaking serves different content to the search engines than it does users. The content shown to search engines is engineered to try and gain rankings, which is why search engines see this as a deceptive method. A/B Testing is swapping out elements of a page or the entire page itself, presenting different combinations to users and measuring the success of your goals in relation to the combinations shown. Search engines may or may not get these tests depending on the implementation. The main difference is that the intent isn’t to deceive; it’s to test and improve your strategy. Thanks for the SEO Tool box. Cloaking is indeed against the Google’s guidelines and considered one of the blackhat SEOs. I have heard of cloaking before but you explained in a much better way, thanks! Wow – what a great free resource. I just tried it out on a couple of pages on my site and they are all working correctly. Will definitely bookmark that website to use. Nice Tool For SEO.We help to my site.